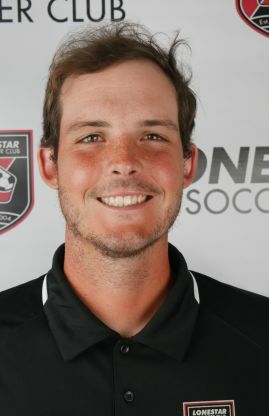 Will has been a part of Lonestar Soccer Club for 12 years as both a player and coach. Soccer runs in his family as his sister also played for Lonestar (DA/ECNL level) and went on to attend Auburn University to play soccer. Will adds, "Lonestar Soccer Club has had an enormously positive impact on my entire family. I look forward to giving others an even better experience, and teaching youth players to love and develop in the game that gave me so much." Lonestar Junior Academy Elite teams in Copa Lonestar and SA United Cup. Played for Lonestar Soccer Club as a Youth player since the inaugural year in 2004.